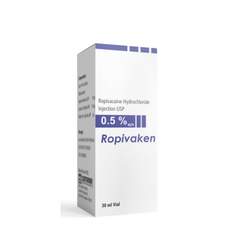 Manufacturers of Anaesthetic products for local and systemic anaesthesia. Packaging Size Tray of 10 ampoules of 2ml in a Box. We are manufacturer and supplier of Lidocaine HCl 5% and Dextrose 7.5% Injection also called as Hyperbaric Solution. 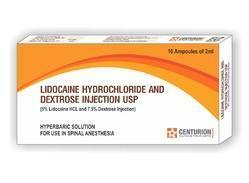 This is an anesthetic product for use in Spinal Anesthesia.